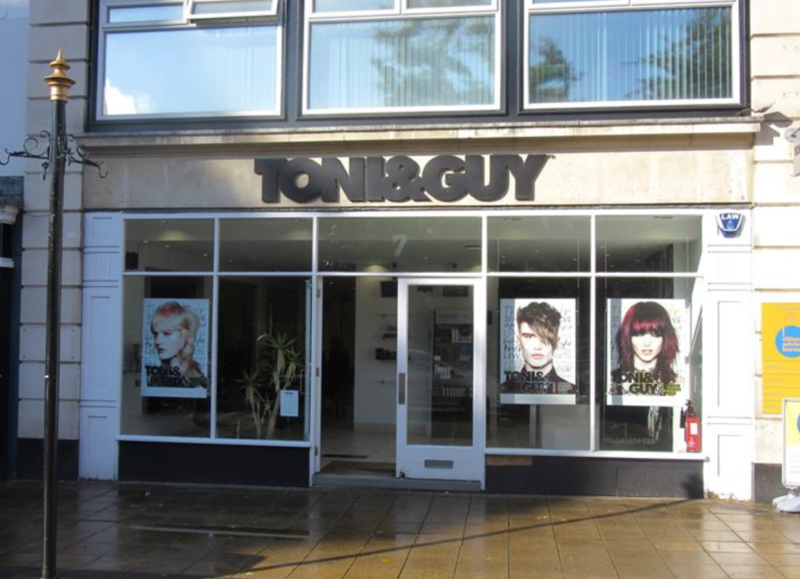 Situated in the picturesque town centre, TONI&GUY Northampton continually strives to offer our clientele a standard of hairdressing and customer service that leaves you feeling and looking fabulous. And with a majority of our specialists regularly training alongside our international artistic team, and working at London Fashion Week, we will leave you inspired, and injected with confidence. If you would like to experience something special, come in for your complimentary consultation, and let your journey to perfect hair begin. Our hair specialists would love to make your style ambitions come alive. If you require any further information call our friendly reception team on the salon booking line. Continually striving to meet our clients needs we also offer additional special services such as casual, and bridal hair-up, permanent smoothing and texture. And the luxury ‘Nano Keratin’ repairing blow-dry treatment designed for improved hair manageability lasting up to four months. First class service and hair - as always!! Always made to feel like a VIP! Love my hair. Chris knows me and my hair so well and Chantelle always cuts it just how I like it! Best haircut yet! Attention to detail and care was excellent and feel this was my best haircut to date. Today, I came for a cut and colour. Chris did the latter and Chantelle did the former. As always, the service I received was great, including the many cups of Cappuccino made by the staff. Perhaps why I have been going for many years now. They have a system that works well for the customer. Knows what I want more than I do! Chantelle is the best !!! I have been a client of Chantelle’s for nearly a year now and I am always very pleased with the work she does! She is really good at understanding how I want my hair! Chantelle is super friendly and a incredibly talented hairdresser. Always happy with the result ???? I can only choose one therapist but I had Chantelle & Frankie!!! They are always amazing!!! I love our chats & laughs! They bring sunshine to the salon just like all the other staff!!! Love love love it in the salon!!! It has been a while since I had my haircut with Andy but it was like I had never been away. Andy always cuts my hair well. Can not recommend him enough. A wonderful person. Love chatting to Chantelle. Always makes feel great and always look forward to my next cut. She deserves more than 5 stars. Been going here for years and Northampton Toni and Guy is the best Haircut you can get for miles. Andy does a smashing Job and so does everyone who works there. Super friendly, always welcoming with big smiles all round. if I could give everyone 5 stars I would! Always leaving happy after receiving a haircut from Andy. Always making me smile and won’t ever cheat and go to anyone else ever again! Had a lovely chat with Christina! She is a beautiful friendly employee. Nothing seems to worry her and she is so thorough in her work. Thank you, it made my visit very pleasant and relaxed! New style and Andy did a great job of achieving the look I wanted. Always professional, wanting to help whilst also ensuring the style suits me.